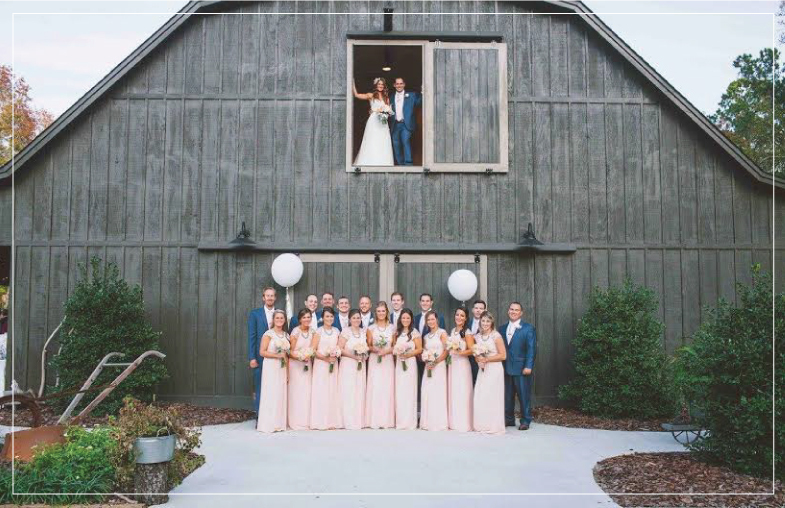 The Barn at Rock Creek boasts one of the most beautiful and elegant surroundings for you on your wedding day. Our serene venue offers the perfect backdrop with endless options for an indoor or outdoor ceremony and reception. The barn, pavilion, and bridal suite create the perfect trifecta for intimate celebrations. Our dedicated and enthusiastic events team has the knowledge and experience to provide complete support in assisting couples organize their special day. We are there every step of the way, from the early booking stages all the way to the send off at the evening reception and beyond. We are there until the last guest at your wedding is taken care of and on safely on their way. Our venue combines luxury and professional services to make sure your event is one to remember. The grounds include on-site parking with a short path to the barn, a beautiful handmade swing for the couple, plenty of yard space for outdoor seating and lawn games and several outdoor ceremony options. 2400 square feet of indoor space for your wedding and/or reception. This area can easily accomodate 130-150 guests comfortably. 720 square feet of outdoor space under our side porch can also be used as a seating or cocktail area, complete with Edison lights. 850 square feet of outdoor space on our back patio, complete with Edison lighting. The 2400 square foot outdoor, open-air Pavilion, complete with Edison lighting and a beautiful stone fireplace. Exclusive use of the property for the entire day. Setup for your vendors begins at 10am, Music must end no later than 11pm, and all personal items and decor must be removed no later than 12am. Golf cart service for your guests as they arrive to the venue. This service begins one hour prior to your ceremony and ends at the end of the event. Portrait sitting with your photographer for engagement and/or bridal portraits. Check for available dates. HAVE YOUR REHEARSAL DINNER WITH US, TOO! Please fill out our contact form for custom pricing.